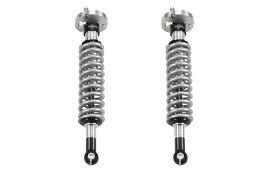 Radflo coil-over shock absorbers offer individual shock and spring adjustment for even greater suspension control. 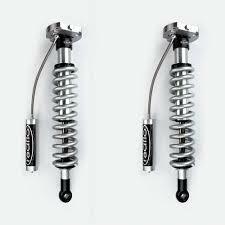 For those that require even more tuning capability, we offer a line of coil-over shocks to suit the most advanced suspension setups. Start by choosing the ideal spring specifications from our expansive selection of single or multiple-rate coil combinations. Then we will independently set rebound and compression valving to complement your spring selection and vehicle specifications. 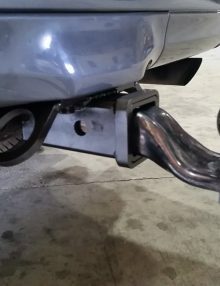 Once installed, you can adjust ride height, preload and travel to suit your application and performance requirements. Radflo’s exclusive Freeflo™ racing piston utilizes adaptive damping technology to automatically match shock performance to surface conditions. Multi-stage compression and rebound damping characteristics can be independently customized to suit your vehicle setup and driving preferences. Available in 5/8″, 7/8″ and 1″ diameters, our Nitro Steel® rod and slippery bronze rod guide provide unyielding performance in the roughest terrain. Multi-direction, triple lip sealing system prevents oil contamination while ensuring excellent gas and oil retention.